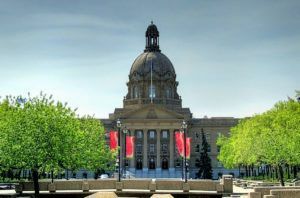 Alberta is weighing whether to allow cannabis cultivators based in the province to apply for Canadian Agricultural Partnership (CAP) cost-sharing grants, though a decision will not be announced until after the April 16 provincial election. CAP is a 3 billion Canadian dollar ($2.2 billion) initiative by federal and provincial governments supporting agricultural businesses across the country. Alberta’s CAP funding is worth CA$406 million. Although Alberta has not determined whether cannabis cultivators may apply, it says CAP funding is available for hemp cultivators. “Hemp continues to be eligible for funding under the suite of programs as an agricultural crop and for processing,” a department spokesperson wrote in an emailed statement. If the province does open CAP program funding to cannabis companies, microcultivators – a new class of cannabis grower – could be see the most interest when they become fully licensed. Alberta is home to 12 of Canada’s 163 cannabis license holders. A number of other provinces – including British Columbia – have decided to open the funding to cannabis producers and processors in those provinces. Newfoundland, on the other hand, puts cannabis cultivation under the purview of the Department of Tourism, Culture, Industry and Innovation, effectively blocking CAP funding for cannabis in that province. More information about Alberta’s CAP program funding is available here.